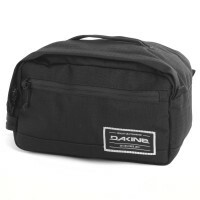 The update of the Dakine Groomer toiletry bags is now three different sizes . 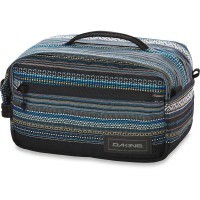 The largest washing bag, Groomer LG, is perfect for long trips . 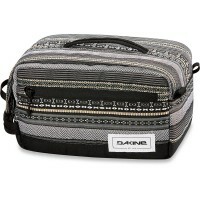 Whether men or women, the fancy, colorful design with stripes and patterns that appeals to all. 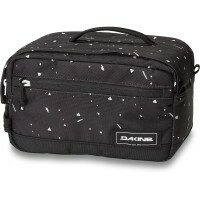 Not only that main compartment is suitable for all kinds of cosmetics, also in the practical exterior pocket have little things a great Staum. 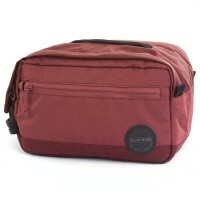 Especially practical use when I do not want to lug everything: the removable wash bag made of transparent network . The great Dakine wash bag with handle , everything is on vacation and on the world tour really with it which is important for beauty and care! 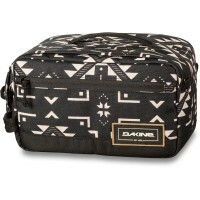 Customer evaluation for "Dakine Groomer Lg Washbag / Beauty Case Waimea"